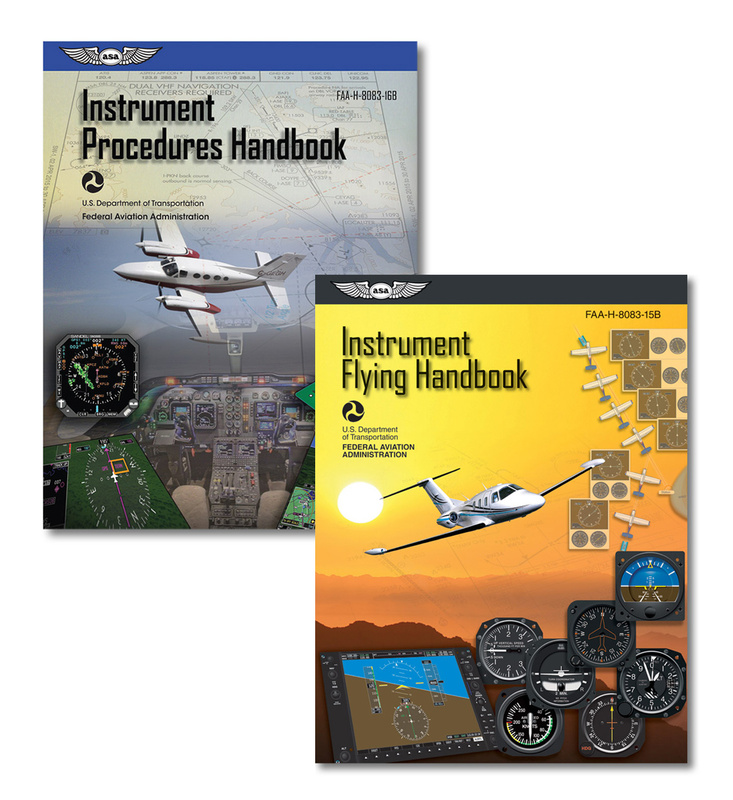 The Instrument Flying Handbook (FAA-H-8083-15B) is the FAA's primary pilot resource for instrument flight rules (IFR) covering everything pertinent to operating an aircraft in instrument meteorological conditions (IMC) or without reference to outside visuals, relying solely on the information gleaned from the cockpit. Readers will find chapters on the national airspace system, the air traffic control system, human factors, aerodynamics, flight instruments, flight maneuvers for IFR operations, navigation, emergency operations, as well as helicopter operations and more. The FAA's Instrument Procedures Handbook (FAA-H-8083-16A) is an invaluable resource for instrument-rated pilots. This handbook supersedes FAA-H-8083-16, dated 2014. Designed as a technical reference for all pilots who operate under instrument flight rules (IFR) in the National Airspace system (NAS), the Instrument Procedures Handbook expands and updates information contained in the FAA-H-8083-15B, Instrument Flying Handbook, and introduces advanced information for IFR operations. Instrument flight instructors, instrument pilots, and instrument students will also find this handbook a valuable resource since it is used as a reference for the Airline Transport Pilot and Instrument Knowledge Tests and for the Practical Test Standards. It also provides detailed coverage of instrument charts and procedures including IFR takeoff, departure, en route, arrival, approach, and landing. Safety information covering relevant subjects such as runway incursion, land and hold short operations, controlled flight into terrain, and human factors issues also are included.